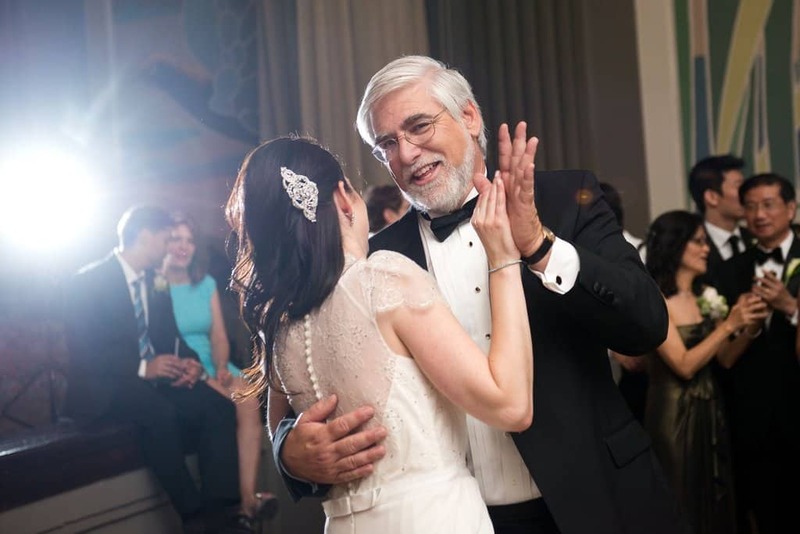 The father-daughter dance at a wedding is a truly special moment. The father of the bride is “giving away” his daughter. Choosing the perfect song to capture this moment can be a stressful, difficult decision. 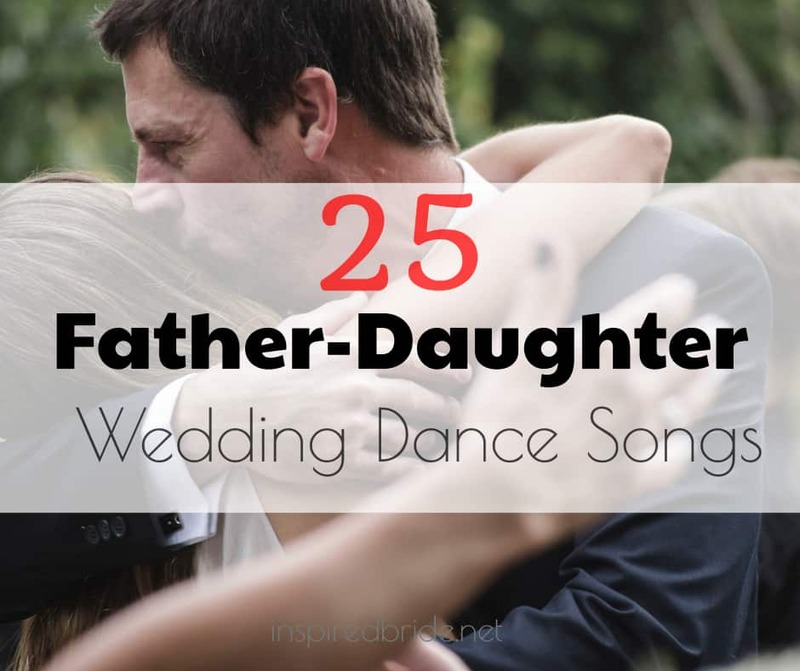 But, here are some father-daughter wedding dance song ideas that can give you a list to choose from. The bride will be dancing with Dad for the entire song so, there are some things to consider. There are songs that start off sweet and perfect for the moment and can quickly take a turn as the song continues, leaving an awkward, sour taste in your mouth. Listen to the entire song to ensure its right for your dance with your father. Do you want your guests to be sobbing like babies or giggle throughout? Picking between the two should be pretty easy. Thinking about the relationship of you and Dad will help you pick the song’s personality. Moments like inside jokes or family games are fun to try to incorporate in the father-daughter wedding song. 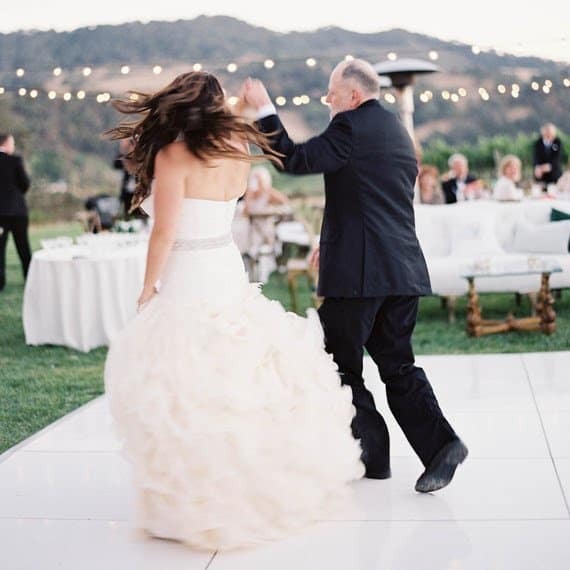 Even if it doesn’t make sense to your wedding guests, it will have meaning between you and Dad. Looking for a put-together list of songs to choose from? This should be one of the fun moments of wedding planning, picking the father-daughter wedding dance song. Far less stressful than picking your wedding song, probably. Need more help picking the right weddings songs, check out cake cutting songs and first dance wedding songs.